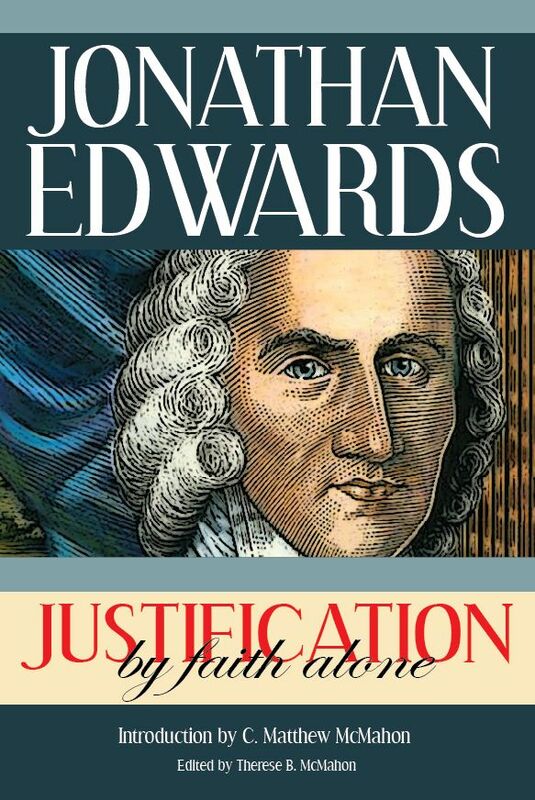 Edwards teaches that pressing into the kingdom of heaven denotes earnestness and firmness of resolution. In these words two things may be observed: First, Wherein the work and office of John the Baptist consisted, viz. in preaching the kingdom of God, to prepare the way for its introduction to succeed the law and the prophets. By the law and the prophets, in the text, seems to be intended the ancient dispensation under the Old Testament, which was received from Moses and the prophets. These are said to be until John; not that the revelations given by them are out of use since that time, but that the state of the church, founded and regulated under God by them, the dispensation of which they were the ministers, and wherein the church depended mainly on light received from them, fully continued till John. He first began to introduce the New Testament dispensation, or gospel-state of the church; which, with its glorious, spiritual, and eternal privileges and blessings, is often called the kingdom of heaven, or kingdom of God. John the Baptist preached, that the kingdom of God was at hand. “Repent” says he, “for the kingdom of heaven is at hand:”-“Since that time,” says Christ, “the kingdom of God is preached.” John the Baptist first began to preach it; and then, after him, Christ and his disciples preached the same. Thus Christ preached, Matthew 4:17. “From that time Jesus began to preach, and to say, Repent, for the kingdom of heaven is at hand.” So the disciples were directed to preach, Matthew 10:7. “And, as ye go, preach, saying, The kingdom of heaven is at hand.” It was not John the Baptist, but Christ, that fully brought in, and actually established, this kingdom of God; but he, as Christ’s forerunner to prepare his way before him, did the first thing that was done towards introducing it. The old dispensation was abolished, and the new brought in by degrees; as the night gradually ceases, and gives place to the increasing day which succeeds in its room. 1. In the generalness of it, with regard to the subject, or the persons in whom the success appeared; every man. Here is a term of universality; but it is not to be taken as universal with regard to individuals, but kinds; as such universal terms are often used in Scripture. When John preached, there was an extraordinary pouring out of the Spirit of God that attended his preaching. An uncommon awakening, and concern for salvation, appeared on the minds of all sorts of persons; and even in the most unlikely persons, and those from whom such a thing might least be expected; as the Pharisees, who were exceeding proud, and self-sufficient, and conceited of their own wisdom and righteousness, and looked on themselves fit to be teachers of others, and used to scorn to be taught; and the Sadducees, who were a kind of infidels, that denied any resurrection, angel, spirit, or any future state. So that John himself seems to be surprised to see them come to him, under such concern for their salvation; as in Matthew 3:7. “But when he saw many of the Pharisees come to his baptism, he said to them, O generation of vipers, who hath warned you to flee from the wrath to come?” And besides these, the publicans, who were some of the most infamous sort of men, came to him, inquiring what they should do to be saved. And the soldiers, who were doubtless a very profane, loose, and prolifigate sort of persons, made the same inquiry, Luke 3:12, and 14. “Then came also publicans to be baptized, and said unto him, Master, what shall we do? And the soldiers likewise demanded of him, saying, And what shall we do? 1. This expression denotes strength of desire. Men in general who live under the light of the gospel, and are not atheists, desire the kingdom of God; that is, they desire to go to heaven rather than to hell. Most of them indeed are not much concerned about it; but on the contrary, live a secure and careless life. And some who are many degrees above these, being under some degrees of the awakenings of God’s Spirit, yet are not pressing into the kingdom of God. But they that may be said to be truly so, have strong desires to get out of a natural condition, and to get an interest in Christ. They have such a conviction of the misery of their present state, and of the extreme necessity of obtaining a better, that their minds are as it were possessed with and wrapped up in concern about it. 2. Pressing into the kingdom of heaven denotes earnestness and firmness of resolution. There should be strength of resolution, accompanying strength of desire, as it was in the psalmist, in the place just now referred to: “one thing have I desired, and that will I seek after.” In order to a thorough engagedness of the mind in this affair, both these must meet together. Besides desires after salvation, there should be an earnest resolution in persons to pursue this good as much as lies in their power; to do all that in the use of their utmost strength they are able to do, in an attendance on every duty, and resisting and militating against all manner of sin, and to continue in such a pursuit. There are two things needful in a person, in order to these strong resolutions; there must be a sense of the great importance and necessity of the mercy sought, and there must also be a sense of opportunity to obtain it, or the encouragement there is to seek it. The strength of resolution depends on the sense which God gives to the heart of these things. Persons without such a sense, may seem to themselves to take up resolutions; they may, as it were, force a promise to themselves, and say within themselves, “I will seek as long as I live, I will not give up till I obtain,” when they do but deceive themselves. Their hearts are not in it; neither do they indeed take up any such resolution as they seem to themselves to do. It is the resolution of the mouth more than of the heart; their hearts are not strongly bent to fulfill what their mouth says. The firmness of the resolution lies in the fulness of the disposition of the heart to do what is resolved to be done. Those who are pressing into the kingdom of God, have a disposition of heart to do everything that is required, and that lies in their power to do, and to continue in it. They have not only earnestness, but steadiness of resolution: they do not seek with a wavering unsteady heart, by turns or fits, being off and on; but it is the constant bent of the soul, if possible, to obtain the kingdom of God. 3. By pressing into the kingdom of God is signified greatness of endeavor. It is expressed in Ecclesiastes 10:10. by doing what our hand finds to do with our might. And this is the natural and necessary consequence of the two forementioned things. Where there is strength of desire, and firmness of resolution, there will be answerable endeavors. Persons thus engaged in their hearts will “strive to enter in at the strait gate,” and will be violent for heaven; their practice will be agreeable to the counsel of the wise man, in Proverbs 2 at the beginning, “My son, if thou wilt receive my words, and hide my commandments with thee; so that thou incline thine ear unto wisdom, and apply thine heart to understanding; yea, if thou criest after knowledge, and liftest up thy voice for understanding; if thou seekest her as silver, and searchest for her as for hid treasures; then shalt thou understand the fear of the Lord, and find the knowledge of God.” Here the earnestness of desire and strength of resolution is signified by inclining the ear to wisdom, and applying the heart to understanding; and the greatness of endeavor is denoted by crying after knowledge, and lifting up the voice for understanding; seeking her as silver, and searching for her as for hid treasures: such desires and resolutions, and such endeavors go together. 4. Pressing into the kingdom of God denotes an engagedness and earnestness, that is directly about that business of getting into the kingdom of God. Persons may be in very great exercise and distress of mind, and that about the condition of their souls; their thoughts and cares may be greatly engaged and taken up about things of a spiritual nature, and yet not be pressing into the kingdom of God, nor towards it. The exercise of their minds is not directly about the work of seeking salvation, in a diligent attendance on the means that God hath appointed in order to it, but something else that is beside their business; it may be God’s decrees and secret purposes, prying into them, searching for signs whereby they may determine, or at least conjecture, what they are before God makes them known by their accomplishment. They distress their minds with fears that they be not elected, or that they have committed the unpardonable sin, or that their day is past, and that God has given them up to judicial and final hardness, and never intends to show them mercy; and therefore, that it is in vain for them to seek salvation. Or they entangle themselves about the doctrine of original sin, and other mysterious doctrines of religion that are above their comprehension. Hence we are not to judge of the hopefulness of the way that persons are in, or of the probability of their success in seeking salvation, only by the greatness of the concern and distress that they are in; for many persons have needless distresses that they had much better be without. It is thus very often with persons overrun with the distemper of melancholy: whence the adversary of souls is wont to take great advantage. But then are persons in the most likely way to obtain the kingdom of heaven, when the intent of their minds, and the engagedness of their spirits, be about their proper work and business, and all the bent of their souls is to attend on God’s means, and to do what he commands and directs them to. The apostle tells us, I Corinthians 9:26. “that he did not fight as those that beat the air.” Our time is short enough; we had not need to spend it in that which is nothing to the purpose. There are real difficulties and enemies enough for persons to encounter, to employ all their strength; they had not need to waste it in fighting with phantoms. 5. By pressing into the kingdom of God is denoted a breaking through opposition and difficulties. There is in the expression a plain intimation of difficulty. If there were no opposition, but the way was all clear and open, there would be no need of pressing to get along. They therefore that are pressing into the kingdom of God, go on with such engagedness, that they break through the difficulties that are in the way. They are so set for salvation, that those things by which others are discouraged, and stopped, and turned back, do not stop them, but they press through them. Persons ought to be so resolved for heaven, that if by any means they can obtain, they will obtain. Whether those means be difficult or easy, cross or agreeable, if they are requisite means of salvation, they should be complied with. When anything is presented to be done, the question should not be, Is it easy or hard? is it agreeable to my carnal inclinations or interest, or against them? But is it a required means of my obtaining an interest in Jesus Christ, and eternal salvation? Thus the apostle, Philippians 3:11. “If by any means I might attain unto the resurrection of the dead.” He tells us there in the context what difficulties he broke through, that he suffered the loss of all things, and was willingly made conformable even to Christ’s death, though that was attended with such extreme torment and ignominy. 1. On account of the extreme necessity we are in of getting into the kingdom of heaven. We are in a perishing necessity of it; without it we are utterly and eternally lost. Out of the kingdom of God is no safety; there is no other hiding-place; this is the only city of refuge, in which we can be secure from the avenger that pursues all the ungodly. The vengeance of God will pursue, overtake, and eternally destroy, them that are not in this kingdom. All that are without this enclosure will be swallowed up in an overflowing fiery deluge of wrath. They may stand at the door and knock, and cry, Lord, Lord, open to us, in vain; they will be thrust back; and God will have no mercy on them; they shall be eternally left of him. His fearful vengence will seize them; the devils will lay hold of them; and all evil will come upon them; and there will be none to pity or help; their case will be utterly desperate, and infinitely doleful. It will be a gone case with them; all offers of mercy and expressions of divine goodness will be finally withdrawn, and all hope will be lost. God will have no kind of regard to their well-being; will take no care of them to save them from any enemy, or any evil; but himself will be their dreadful enemy, and will execute wrath with fury, and will take vengeance in an inexpressibly dreadful manner. Such as shall be in this case will be lost and undone indeed! They will be sunk down into perdition, infinitely below all that we can think. For who knows the power of God’s anger? And who knows the misery of that poor worm, on whom that anger is executed without mercy? 4. The possibility of obtaining. Though it be attended with so much difficulty, yet it is not a thing impossible. Acts 8:22. “If perhaps the thought of thine heart may be forgiven thee.” II Timothy 2:25. “If peradventure God will give them repentance to the acknowledging of the truth.” However sinful a person is, and whatever his circumstances are, there is, notwithstanding, a possibility of his salvation. He himself is capable of it, and God is able to accomplish it, and has mercy sufficient for it; and there is sufficient provision made through Christ, that God may do it consistent with the honour of his majesty, justice, and truth. So that there is no want either of sufficiency in God, or capacity in the sinner, in order to this. The greatest and vilest most blind, dead, hard-hearted sinner living, is a subject capable of saving light and grace. Seeing therefore there is such a necessity of obtaining the kingdom of God, and so short a time, and such difficulty, and yet such a possibility, it may well induce us to press into it. Jonah 3:8, 9. Answer. 1. Though earnestness of mind be not immediately in your power, yet the consideration of what has been now said of the need of it, may be a means of stirring you up to it. It is true, persons never will be thoroughly engaged in this business, unless it be by God’s influence; but God influences persons by means. Persons are not stirred up to a thorough earnestness without some considerations that move them to it. And if persons can but be made sensible of the necessity of salvation, and also duly consider the exceeding difficuly of it, and the greatness of the opposition, and how short and uncertain the time is, but yet are sensible that they have an opportunity, and that there is a possibility of their obtaining, they will need no more in order to their being thoroughly engaged and resolved in this matter. If we see persons slack and unresolved, and unsteady, it is because they do not enough consider these things. Answer. There is ordinarily no kind of seekers that trust so much to what they do, as slack and dull seekers. Though all seeking salvation, that have never been the subjects of a thorough humiliation, do trust in their own righteousness; yet some do it much more fully than others. Some though they trust in their own righteousness, yet are not quiet in it. And those who are most disturbed in their self-confidence, (and therefore in the likeliest way to be wholly brought off from it,) are not such as go on in a remiss way of seeking, but such as are most earnest and thoroughly engaged; partly because in such a way conscience is kept more sensible. A more awakened conscience will not rest so quietly in moral and religious duties, as one that is less awakened. A dull seeker’s conscience will be in a great measure satisfied and quieted with his own works and performances; but one that is thoroughly awakened cannot be stilled or pacified with such things as these. In this way persons gain much more knowledge of themselves, and acquaintance with their own hearts, than in a negligent, slight way of seeking; for they have a great deal more experience of themselves. It is experience of ourselves, and finding what we are, that God commonly makes use of as the means of bringing us off from all dependence on ourselves. But men never get acquaintance with themselves so fast, as in the most earnest way of seeking. They that are in this way have more to engage them to think of their sins, and strictly to observe themselves, and have much more to do with their own hearts, than others. Such a one has much more experience of his own weakness, than another that does not put forth and try his strength; and will therefore sooner see himself dead in sin. Such a one, though he hath a disposition continually to be flying to his own righteousness, yet finds rest in nothing; he wanders about from one thing to another, seeking something to ease his disquieted conscience; he is driven from one refuge to another, goes from mountain to hill, seeking rest and finding none; and therefore will the sooner prove that there is no rest to be found, nor trust to be put, in any creature whatsoever. It is therefore quite a wrong notion that some entertain, that the more they do, the more they shall depend on it. Whereas the reverse is true; the more they do, or the more thorough they are in seeking, the less will they be likely to rest in their doings, and the sooner will they see the vanity of all that they do. So that persons will exceedingly miss it, if ever they neglect to do any duty either to God or man, whether it be any duty of religion, justice, or charity, under a notion of its exposing them to trust in their own righteousness. It is very true, that it is a common thing for persons, when they earnestly seek salvation, to trust in the pains that they take: but yet commonly those that go on in a more slight way, trust a great deal more securely to their dull services, than he that is pressing into the kingdom of God does to his earnestness. Men’s slackness in religion, and their trust in their own righteousness, strengthen and establish one another. Their trust in what they have done, and what they now do, settles them in a slothful rest and ease, and hinders their being sensible of their need of rousing up themselves and pressing forward. And on the other hand, their negligence tends so to benumb them in such ignorance of themselves, that the most miserable refuges are stupidly rested in as sufficient. Therefore we see, that when persons have been going on for a long time in such a way, and God afterwards comes more thoroughly to awaken them, and to stir them up to be in good earnest, he shakes all their old foundations, and rouses them out of their old resting places; so that they cannot quiet themselves with those things that formerly kept them secure. I would now proceed to give some directions how you should press into the kingdom of God. 1. Be directed to sacrifice every thing to your soul’s eternal interest. Let seeking this be so much your bent, and what you are so resolved in, that you will make every thing give place to it. Let nothing stand before your resolution of seeking the kingdom of God. Whatever it be that you used to look upon as a convenience, or comfort, or ease, or thing desirable on any account, if it stands in the way of this great concern, let it be dismissed without hesitation; and if it be of that nature that it is likely always to be a hinderance, then wholly have done with it, and never entertain any expectation from it more. If in time past you have, for the sake of worldly gain, involved yourself in more care and business than you find to be consistent with your being so thorough in the business of religion as you ought to be, then get into some other way, though you suffer in your worldly interest by it. Or if you have heretofore been conversant with company that you have reason to think have been and will be a snare to you, and a hinderance to this great design in any wise, break off from their society, however it may expose you to reproach from your old companions, or let what will be the effect of it. Whatever it be that stands in the way of your most advantageously seeking salvation-whether it be some dear sinful pleasure, or strong carnal appetite, or credit and honour, or the good-will of some persons whose friendship you desire, and whose esteem and liking you have highly valued-and though there be danger, if you do as you ought, that you shall looked upon by them as odd and ridiculous, and become contemptible in their eyes-or if it be your ease and indolence and aversion to continual labour; or your outward convenience in any respect, whereby you might avoid difficulties of one kind or other-let all go; offer up all such things together, as it were, in one sacrifice, to the interest of your soul. Let nothing stand in competition with this, but make every thing to fall before it. If the flesh must be crossed, then cross it, spare it not, crucify it, and do not be afraid of being too cruel to it. Galatians 5:24. “They that are Christ’s have crucified the flesh, with the affections and lusts.” Have no dependence on any worldly enjoyment whatsoever. Let salvation be the one thing with you. This is what is certainly required of you: and this is what many stick at; this giving up other things for salvation, is a stumbling-block that few get over. While others pressed into the kingdom of God at the preaching of John the Baptist, Herod was pretty much stirred up by his preaching. It is said, he heard him, and observed him, and did many things; but when he came to tell him that he must part with his beloved Herodias, here he stuck; this he never would yield to, Mark 7:18-20. The rich young man was considerably concerned for salvation; and accordingly was a very strict liver in many things: but when Christ came to direct him to go and sell all that he had, and give to the poor, and come and follow him, he could not find in his heart to comply with it, but went away sorrowful. He had great possessions, and set his heart much on his estate, and could not bear to part with it. It may be, if Christ had directed him only to give away a considerable part of his estate, he would have done it; yea, perhaps, if he had bid him part with half of it, he would have complied with it: but when he directed him to throw up all, he could not grapple with such a proposal. Herein the straitness of the gate very much consists; and it is on this account that so many seek to enter in, and are not able. There are many that have a great mind to salvation, and spend great part of their time in wishing they had it, but they will not comply with the necessary means. 2. Be directed to forget the things that are behind: that is, not to keep thinking and making much of what you have done, but let your mind be wholly intent on what you have to do. In some sense you ought to look back; you should look back to your sins. Jeremiah 2:23. “See thy way in the valley, know what thou hast done.” You should look back on the wretchedness of your religious performances, and consider how you have fallen short in them; how exceedingly polluted all your duties have been, and how justly God might reject and loathe them, and you for them. But you ought not to spend your time in looking back, as many persons do, thinking how much they have done for their salvation; what great pains they have taken, how that they have done what they can, and do not see how they can do more; how long a time they have been seeking, and how much more they have done than others, and even than such and such who have obtained mercy. They think with themselves how hardly God deals with them, that he does not extend mercy to them, but turns a deaf ear to their cries; and hence discourage themselves, and complain of God. Do not thus spend your time in looking back on what is past, but look forward, and consider what is before you; consider what it is that you can do, and what it is necessary that you should do, and what God calls you still to do, in order to your own salvation. The apostle, in the third chapter to the Philippians, tells us what things he did while a Jew, how much he had to boast of, if any could boast; but he tells us, that he forgot those things, and all other things that were behind, and reached forth towards the things that were before, pressing forwards towards the mark for the prize of the high calling of God in Christ Jesus. (2.) Endeavour now thoroughly to weigh in your mind the difficulty, and to count the cost of perseverence in seeking salvation. You that are now setting out in this business, (as there are many here who have very lately set about it;-Praised be the name of God that he has stirred you up to it!) be exhorted to attend this direction. Do not undertake in this affair with any other thought but of giving yourself wholly to it for the remaining part of your life, and going through many and great difficulties in it. Take heed that you do not engage secretly upon this condition, that you shall obtain in a little time, promising yourself that it shall be within this present season of the pouring out of God’s Spirit, or with any other limitation of time whatsoever. Many, when they begin, (seeming to set out very earnestly,) do not expect that they shall need to seek very long, and so do not prepare themselves for it. And therefore, when they come to find it otherwise, and meet with unexpected difficulty, they are found unguarded, and easily overthrown. But let me advise you all who are now seeking salvation, not to entertain any self-flattering thoughts; but weigh the utmost difficulties of perseverance, and be provided for them, having your mind fixed in it to go through them, let them be what they will. Consider now beforehand, how tedious it would be, with utmost earnestness and labour, to strive after salvation for many years, in the mean time receiving no joyful or comfortable evidence of your having obtained. Consider what a great temptation to discouragement there probably would be in it; how apt you would be to yield the case; how ready to think that it is in vain for you to seek any longer, and that God never intends to show you mercy, in that he has not yet done it; how apt you would be to think with yourself, “What an uncomfortable life do I live! How much more unpleasantly do I spend my time than others that do not perplex their minds about the things of another world, but are at ease, and take the comfort of their worldly enjoyments!” Consider what a temptation there would probably be in it, if you saw others brought in that began to seek the kingdom of heaven long after you, rejoicing in a hope and sense of God’s favour, after but little pains and a short time of awakening; while you, from day to day, and from year to year, seemed to labour in vain. Prepare for such tempations now. Lay in beforehand for such trials and difficulties, that you may not think any strange thing has happened when they come. I hope that those who have given attention to what has been said, have by this time conceived, in some measure, what is signified by the expression in the text, and after what manner they ought to press into the kingdom of God. Here is this to induce you to a compliance with what you have been directed to; if you sit still, you die; if you go backward, behold you shall surely die; if you go forward, you may live. And though God has not bound himself to any thing that a person does while destitute of faith, and out of Christ, yet there is great probability, that in a way of hearkening to this counsel you will live; and that by pressing onward, and persevering, you will at last, as it were by violence, take the kingdom of heaven. Those of you who have not only heard the directions given, but shall through God’s merciful assistance, practise according to them, are those that probably will overcome. These we may well hope at last to see standing with the Lamb on mount Sion, clothed in white robes, with palms in their hands; when all your labour and toil will be abundantly compensated, and you will not repent that you have taken so much pains, and denied yourself much, and waited so long. This self-denial, this waiting, will then look little, and vanish into nothing in your eyes, being all swallowed up in the first minute’s enjoyment of that glory that you will then possess, and will uninterruptedly possess and enjoy to all eternity. God is pleased at this time, in a very remarkable manner, to pour out his Spirit amongst us; (glory be to his name!) You that have a mind to obtain converting grace, and to go to heaven when you die, now is your season! Now, if you have any sort of prudence for your own salvation, and have not a mind to go to hell, improve this season! Now is the accepted time! Now is the day of salvation! 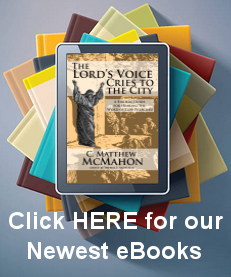 You that in time past have been called upon, and have turned a deaf ear to God’s voice, and long stood out and resisted his commands and counsels, hear God’s voice today, while it is called today! Do not harden your hearts at such a day as this! Now you have a special and remarkable price put into your hands to get wisdom, if you have but a heart to improve it. God hath his certain days or appointed seasons of exercising both mercy and judgment. There are some remarkable times of wrath, laid out by God for his awful visitation, and the executions of his anger; which times are called days of vengeance, Proverbs 6:34. Wherein God will visit sin, Exodus 32:34. And so, on the contrary, God has laid out in his sovereign counsels seasons of remarkable mercy, wherein he will manifest himself in the exercises of his grace and loving-kindness, more than at other times. Such times in Scripture are called by way of eminency, accepted times, and days of salvation, and also days of God’s visitation; because they are days wherein God will visit in a way of mercy; as in Luke 19:44. “And shall lay thee even with the ground, and thy children within thee; and they shall not leave in thee one stone upon another; because thou knewest not the time of thy visitation.” It is such a time now in this town; it is with us a day of God’s gracious visitation. It is indeed a day of grace with us as long as we live in this world, in the enjoyment of the means of grace; but such a time as this is especially, and in a distinguishing manner, a day of grace. There is a door of mercy always standing open for sinners; but such a day as this, God opens an extraordinary door. How should it move you to consider that you have this opportunity now in your hands! You are in the actual possession of it! If it were past, it would not be in your power to recover it, or in the power of any creature to bring it back for you; but it is not past; it is now, at this day. Now is the accepted time, even while it is called today! Will you sit still at such a time? Will you sleep in such a harvest? Will you deal with a slack hand, and stay behind out of mere sloth, or love to some lust, or lothness to grapple with some small difficulty, or to put yourself a little out of your way, when so many are flowing to the goodness of the Lord? You are behind still; and so you will be in danger of being left behind, when the whole number is completed that are to enter in, if you do not earnestly bestir yourself! To be left behind at the close of such a season as this, will be awful-next to being left behind on that day when God’s saints shall mount up as with wings to meet the Lord in the air-and will be what will appear very threatening of it. God is now calling you in an extraordinary manner: and it is agreeable to the will and word of Christ, that I should now, in his name, call you, as one set over you, and sent to you to that end; so it is his will that you should hearken to what I say, as his voice. I therefore beseech you in Christ’s stead now to press into the kingdom of God! Whoever you are, whether young or old, small or great; if you are a great sinner, if you have been a backslider, if you have quenched the Spirit, be who you will, do not stand making objections, but arise, apply yourself to your work! Do what you have to do with your might. Christ is calling you before, and holding forth his grace, and everlasting benefits, and wrath is pursuing you behind; wherefore fly for your life, and look not behind you! But here I would particularly direct myself to several sorts of persons. 2. God comes this day, and knocks at many persons’ doors, and at your door among the rest. God seems to be come in a very unusual manner amongst us, upon a gracious and merciful design; a design of saving a number of poor miserable souls out of a lost and perishing condition, and of bringing them into a happy state and eternal glory! This is offered to you, not only as it has always been in the word and ordinances, but by the particular influences of the Spirit of Christ awakening you! This special offer is made to many amongst us; and you are not passed over. Christ has not forgot you; but has come to your door; and there as it were stands waiting for you to open to him. If you have wisdom and discretion to discern your own advantage, you will know that now is your opportunity. 4. There are probably some here present that are now concerned about their salvation, that will never obtain. It is not to be supposed that all that are now moved and awakened, will ever be savingly converted. Doubtless there are many now seeking that will not be able to enter. When has it been so in times past, when there has been times of great outpourings of God’s Spirit, but that many who for a while have inquired with others, what they should do to be saved, have failed, and afterwards grown hard and secure? All of you that are now awakened, have a mind to obtain salvation, and probably hope to get a title to heaven, in the time of this present moving of God’s Spirit: but yet, (though it be awful to be spoken, and awful to be thought) we have no reason to think any other, than that some of you will burn in hell to all eternity. You all are afraid of hell, and seem at present disposed to take pains to be delivered from it; and yet it would be unreasonable to think any other, than that some of you will have your portion in the lake that burns with fire and brimstone. Though there are so many that seem to obtain so easily, having been but a little while under convictions, yet, for all that, some never will obtain. Some will soon lose the sense of things they now have; though their awakenings seem to be very considerable for the present, they will not hold; they have not hearts disposed to hold on through very many difficulties. Some that have set out for heaven, and hope as much as others to obtain, are indeed but slighty and slack, even now, in the midst of such a time as this. And others, who for the present seem to be more in earnest, will probably, before long, decline and fail, and gradually return to be as they were before. The convictions of some seem to be great, while that which is the occasion of their convictions is new; which, when that begins to grow old, will gradually decay and wear off. Thus, it may be, the occasion of your awakening has been the hearing of the conversion of some person, or seeing so extraordinary a dispensation of Providence as this in which God now appears amongst us; but by and by the newness and freshness of these things will be gone, and so will not affect your mind as now they do; and it may be your convictions will go away with it. 9. If you neglect the present opportunity, and be finally unbelieving, those that are converted in this time of the pouring out of God’s Spirit will rise up in judgment against you. Your neighbors, your relations, acquaintance, or companions that are converted, will that day appear against you. They will not only be taken while you are left, mounting up with joy to meet the Lord in the air-at his right hand with glorious saints and angels, while you are at the left with devils-but how they will rise up in judgment against you. However friendly you have been together, and have taken pleasure in one another’s company, and have often familiarly conversed together, they will then surely appear against you. They will rise up as witnesses, and will declare what a precious opportunity you had, and did not improve; how you continued unbelieving, and rejected the offers of a Saviour, when those offers were made in so extraordinary a manner, and when so many others were prevailed upon to accept of Christ; how you was negligent and slack, and did not know the things that belonged to your peace, in that your day. And not only so, but they shall be your judges, as assessors with the great Judge; and as such will appear against you; they will be with the Judge in passing sentence upon you. I Corinthians 6:2. “Know ye not that the saints shall judge the world?” Christ will admit them to the honour of judging the world with him: “They shall sit with him in his throne,” Revelation 3:21. “They shall sit with Christ in his throne of government, and they shall sit with him in his throne of judgment, and shall be judges with him when you are judged, and as such shall condemn you. 10. And lastly, You do not know that you shall live through the present time of the pouring out of God’s Spirit. You may be taken away in the midst of it, or you may be taken away in the beginning of it; as God in his providence is putting you in mind, by the late instance of death in a young person in the town. * God has of late been very awful in his dealings with us, in the repeated deaths of young persons amongst us. This should stir every one up to be in the more haste to press into the kingdom of God, that so you may be safe whenever death comes. This is a blessed season and opportunity; but you do not know how little of it you may have. You may have much less of it than others; may by death be suddenly snatched away from all advantages that are here enjoyed for the good of souls. Therefore make haste, and escape for thy life. One moment’s delay is dangerous; for wrath is pursuing, and divine vengeance hanging over every uncovered person. Let these considerations move every one to be improving this opportunity, that while others receive saving good, and are made heirs of eternal glory, you may not be left behind, in the same miserable doleful circumstances in which you came into the world, a poor captive to sin and Satan, a lost sheep, a perishing, undone creature, sinking down into everlasting perdition; that you may not be one of them spoken of, Jeremiah 17:6. “That shall be like the heath in the desert, and shall not see when good comes.” If you do not improve this opportunity, remember I have told you, you will hereafter lament it; and if you do not lament it in this world, then I will leave it with you to remember it throughout a miserable eternity. * Joseph Clark’s wife, a young woman lately married, that died suddenly the week before this was delivered. 1. When do you expect that it will be more likely that you should be awakened and wrought upon than now? You are in a Christless condition; and yet without doubt intend to go to heaven; and therefore intend to be converted some time before you die; but this is not to be expected till you are first awakened, and deeply concerned about the welfare of your soul, and brought earnestly to seek God’s converting grace. And when do you intend that this shall be? How do you lay things out in your own mind, or what projection have you about this matter? Is it ever so likely that a person will be awakened, as at such a time as this? How do we see many, who before were secure, now roused out of their sleep, and crying, What shall I do to be saved? But you are yet secure! Do you flatter yourself that it will be more likely you should be awakened when it is a dull and dead time? Do you lay matters out thus in your own mind, that though you are senseless when others are generally awakened, that yet you shall be awakened when others are generally senseless? Or do you hope to see another such time of the pouring out of God’s Spirit hereafter? And do you think it will be more likely that you should be wrought upon then, than now? And why do you think so? Is it because then you shall be so much older than you are now, and so that your heart will be grown softer and more tender with age? or because you will then have stood out so much longer against the calls of the gospel, and all means of grace? Do you think it more likely that God will give you the needed influences of his Spirit then, than now, because then you will have provoked him so much more, and your sin and guilt will be so much greater? And do you think it will be any benefit to you, to stand it out through the present season of grace, as proof against the extraordinary means of awakening there are? Do you think that this will be a good preparation for a saving work of the Spirit hereafter? 2. What means do you expect to be awakened by? As to the awakening awful things of the word of God, you have had those set before you times without number, in the most moving manner that the dispensers of the word have been capable of. As to particular solemn warnings, directed to those that are in your circumstances, you have had them frequently, and have them now from time to time. Do you expect to be awakened by awful providences? Those also you have lately had, of the most awakening nature, one after another. Do you expect to be moved by the deaths of others? We have lately had repeated instances of these. There have been deaths of old and young: the year has been remarkable for the deaths of young persons in the bloom of life; and some of them very sudden deaths. Will the conversion of others move you? There is indeed scarce any thing that is found to have so great a tendency to stir persons up as this: and this you have been tried with of late in frequent instances; but are hitherto proof against it. Will a general pouring out of the Spirit, and seeing a conern about salvation amongst all sorts of people, do it? This means you now have, but without effect. Yea, you have all these things together; you have the solemn warnings of God’s word, and awful instances of death, and the conversion of others, and see a general concern about salvation: but all together do not move you to any great concern about your own precious, immortal, and miserable soul. Therefore consider by what means it is that you expect ever to be awakened. You have heard that it is probable some who are now awakened, will never obtain salvation; how dark then does it look upon you that remain stupidly unawakened! Those who are not moved at such a time as this, come to adult age, have reason to fear whether they are not given up to judicial hardness. I do not say they have reason to conclude it, but they have reason to fear it. How dark doth it look upon you, that God comes and knocks at so many persons’ doors, and misses yours! that God is giving the strivings of his Spirit so generally amongst us, while you ar left senseless! 4. 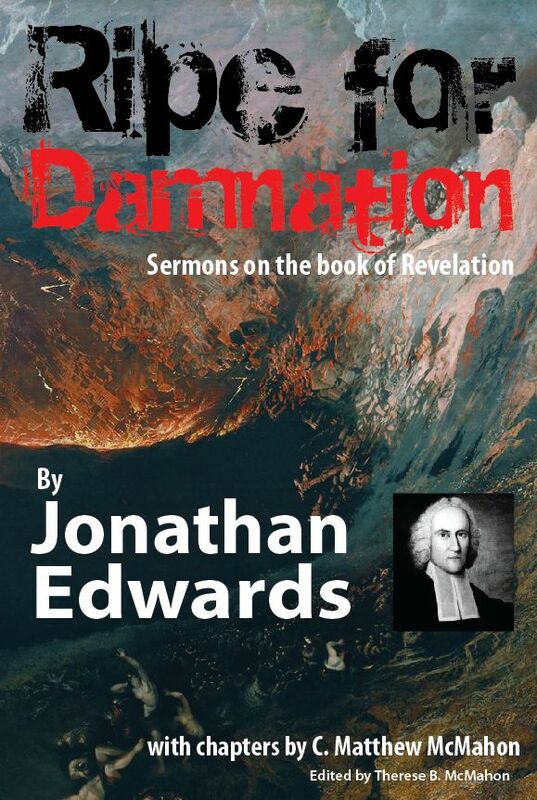 Do you think you can bear the damnation of hell? Do you imagine that you can tolerably endure the devouring fire, and everlasting burnings? Do you hope that you shall be able to grapple with the vengeance of God Almighty, when he girds himself with strength, and clothes himself with wrath? Do you think to strengthen yourself against God, and to be able to make your part good with him? I Corinthians 10:22. “Do we provoke the Lord to jealousy? are we stronger than he?” Do you flatter yourself that you shall find out ways for your ease and support, and to make it out tolerably well, to bear up your spirit in those everlasting burnings that are prepared for the devil and his angels? Ezekiel 22:14. “Can thine heart endure, or can thine hands be strong, in the days that I shall deal with thee?”-It is a difficult thing to conceive what such Christless persons think, that are unconcerned at such a time. Some of you have often lamented the loss of past opportunties, particularly, the loss of the time of youth, and have been wishing that you had so good an opportunity again; and have been ready to say, “O! if I was young again, how would I improve such an advantage!” That opportunity which you have had in time past is irrecoverable; you can never have it again; but God can give you other advantages of another sort, that are very great, and he is so doing at this day. He is now putting a new opportunity into your hands; though not of the same kind with that which you once had, and have lost, yet in some respects as great of another kind. If you lament your folly in neglecting and losing past opportunties, then do not be guilty of the folly of neglecting the opportunity which God now gives you. This opportunity you could not have purchased, if you would have given all that you had in the world for it. But God is putting it into your hands himself, of his own free and sovereign mercy, without your purchasing it. Therefore when you have it, do not neglect it. 2. It is a great deal more likely with respect to such persons than others, that this is their last time. There will be a last time of special offer of salvation to impenitent sinners-“God’s Spirit shall not always strive with man,” Genesis 6:3. God sometimes continues long knocking at the doors of wicked men’s hearts; but there are the last knocks, and the last calls that ever they shall have. And sometimes God’s last calls are the loudest; and then if sinners do not hearken, he finally leaves them. How long has God been knocking at many of your doors that are old in sin! It is a great deal more likely that these are his last knocks. You have resisted God’s Spirit in times past, and have hardened your heart once and again; but God will not be thus dealt with always. There is danger, that if now, after so long a time, you will not hearken, he will utterly desert you, and leave you to walk in your own counsels. It seems by God’s providence, as though God had yet an elect number amongst old sinners in this place, that perhaps he is now about to bring in. It looks as though there were some that long lived under Mr. Stoddard’s ministry, that God has not utterly cast off, though they stood it out under such great means as they then enjoyed. It is to be hoped that God will now bring in a remnant from among them. But it is more likely that God is now about finishing with them, one way or other, for their having been so long the subjects of such extraordinary means. You have seen former times of the pouring out of God’s Spirit upon the town, when others were taken and you left, others were called out of darkness into marvelous light, and were brought into a glorious and happy state, and you saw not good when good came. How dark will your circumstances appear, if you shall also stand it out through this opportunity, and still be left behind! Take heed that you be not of those spoken of, Hebrews 6:7, 8. that are like the “earth that has rain coming oft upon it, and only bears briers and thorns.” As we see there are some pieces of ground, the more showers of rain fall upon them, the more fruitful seasons there are, the more do the briers, and other useless and hurtful plants, that are rooted in them, grow and flourish. Of such ground the apostle says, “It is rejected, and is nigh unto cursing, whose end is to be burned.” The way that the husbandman takes with such ground, is, to set fire to it, to burn up the growth of it.-If you miss this opportunity, there is danger that you will be utterly rejected, and that your end will be to be burned. And if this is to be, it is to be feared, that you are not far from, but nigh unto, cursing. 1. You have all manner of advantages now centering upon you. It is a time of great advantage for all; but your advantages are above others. There is no other sort of persons that have now so great and happy an opportunity as you have.-You have the great advantage that is common to all who live in this place, viz. That now it is a time of the extraordinary pouring out of the Spirit of God. And have you not that great advantage, the awakening influences of the Spirit of God on you in particular? and besides, you have this peculiar advantage, that you are now in your youth. And added to this, you have another unspeakable advantage, that you now are under your first convictions. Happy is he that never has hardened his heart, and blocked up his own way to heaven by backsliding, and has now the awakening influences of God’s Spirit, if God does but enable him thoroughly to improve them! Such above all in the world bid fair for the kingdom of God. God is wont on such, above any kind of persons, as it were easily and readily to bestow the saving grace and comforts of his Spirit. Instances of speedy and sudden conversion are most commonly found among such. Happy are they that have the Spirit of God with them, and never have quenched it, if they did but know the price they have in their hands!